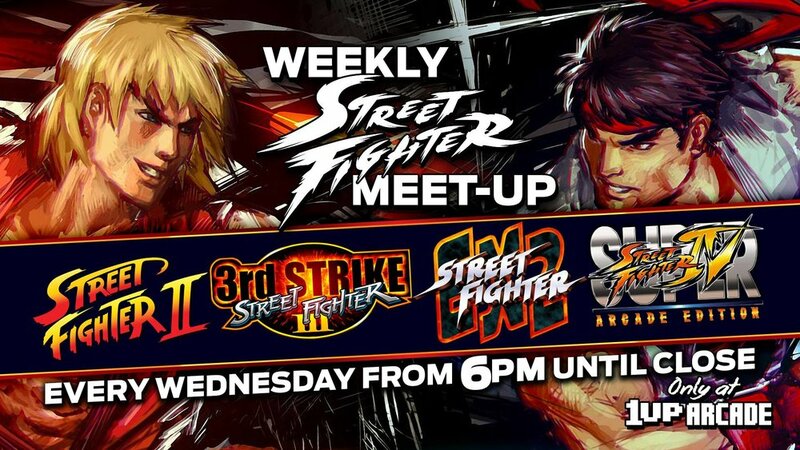 After the success of their first two SSFIV tournaments, 1Up Arcade decided to organise a regular meet-up where Brisbane Street Fighter players can hang out and play against others. Go on down for an SF session like no other, on real arcade machines, playing against Brisbane's passionate base of SF players. Plus, fans of other fighting games can play matches on Marvel vs Capcom, Mortal Kombat 1, 2 & 3 Ultimate, Tekken 3 & 6, GAROU: Mark of the Wolves, Last Blade, Samurai Shodown & KOF '94-2003!!! Most people will get there from 6pm but the arcade opens at 2pm if you want to get in a little practice beforehand. There's nothing like classic Street Fighter battles in an arcade setting, so check out 1Up Acade and mix it with the best!